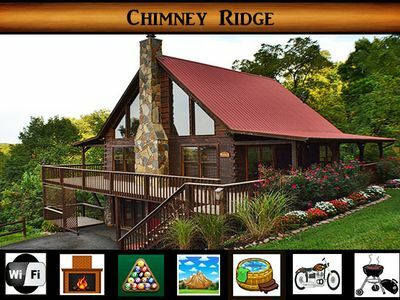 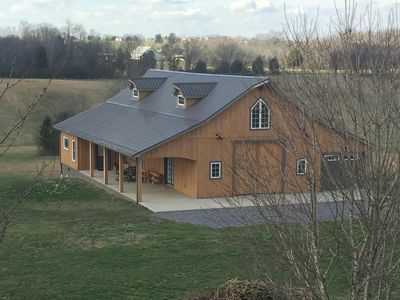 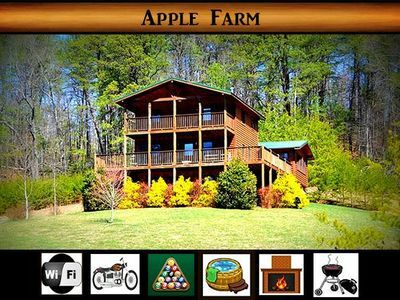 "Apple Farm" is beautifully situated between Pigeon Forge and Wears Valley. 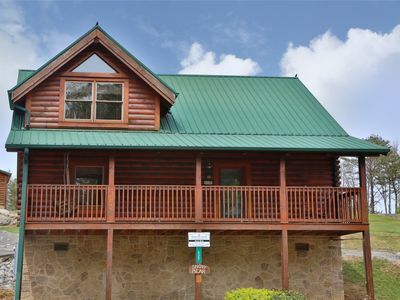 It sits on over an acre of spacious lawn, perfect for children, with a small stream. 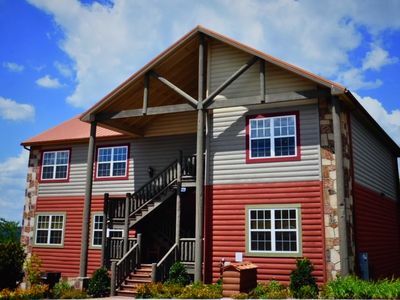 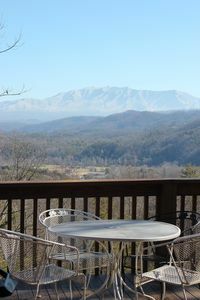 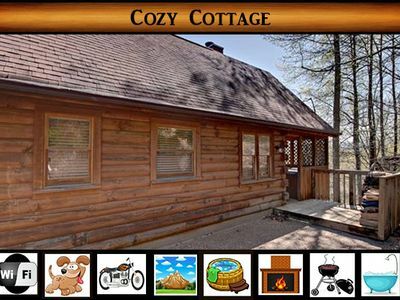 You can be in the attractions of both Pigeon Forge and Gatlinburg from the cabin in minutes. 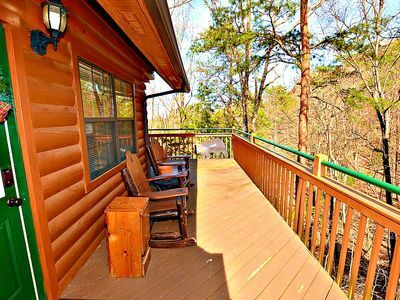 Covered porches and decks are inviting to sit on come rain or shine. 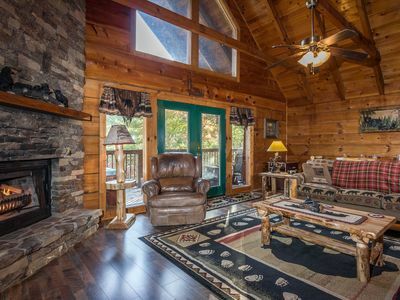 Interior is completely wood, with plenty of room for large family gatherings. 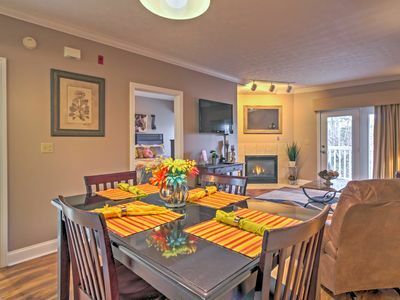 Separate dining room with lots of windows for bringing the outdoors in. 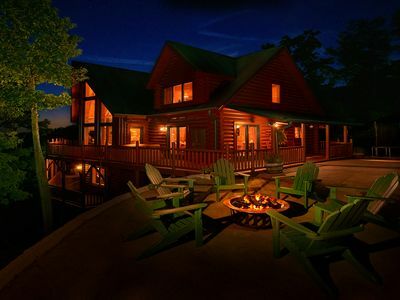 Fireplace in gathering room is nice for the winter nights. 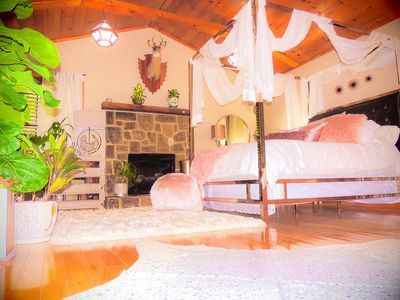 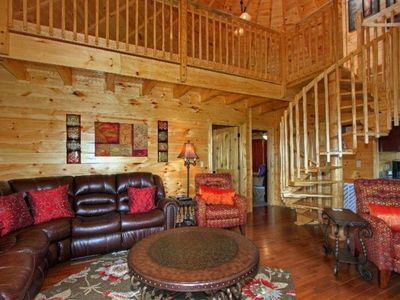 Each bedroom has king bed and separate bathrooms. 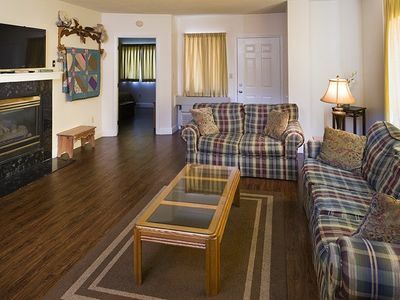 The game room will keep everyone in your party happily engaged. 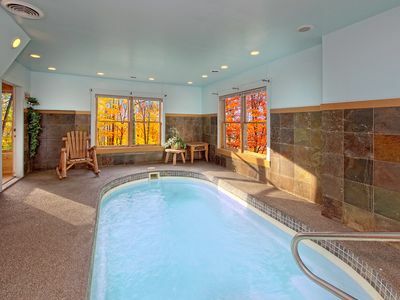 And the large hot tub on the deck will also bring raving reviews from your family and friends! 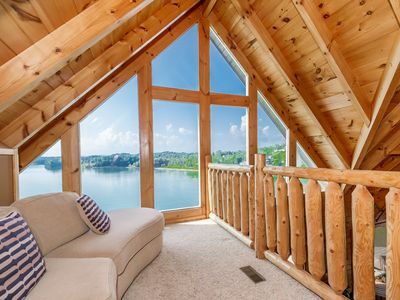 *10am - There is NO check out "to do list" for your departure, you are on vacation & you should enjoy it to the last minute without having to do any "chores". 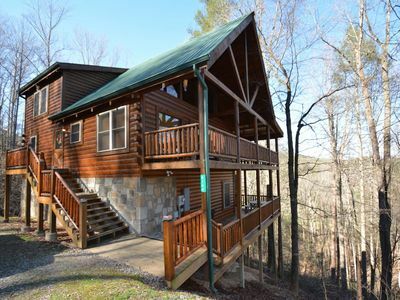 If you are looking for the perfect get-a-way that is close to all of the action ! 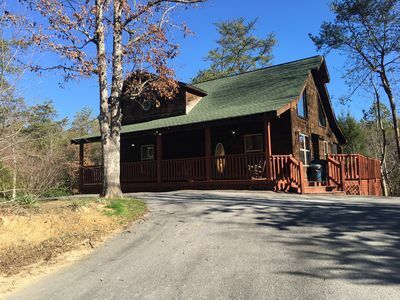 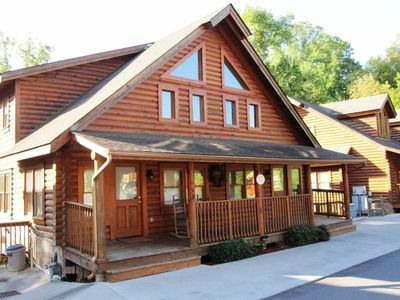 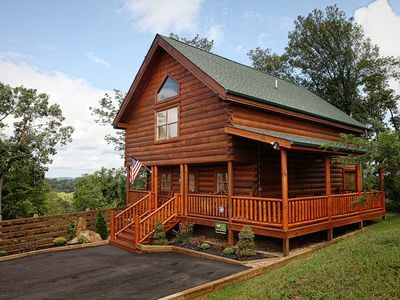 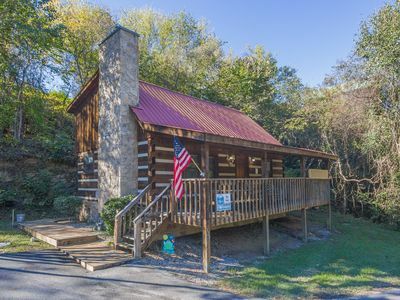 Beautiful log cabin in gated resort community, only 1.5 miles from Dollywood.